Cobalt alloys are now widely used in industrial manufacturing for its heat resistance and high-endurance properties. There are various cobalt alloys now used industrially and some of the major cobalt steel alloys as Stellite, Cobalt 6 (R30006), Cobalt 12 (R30012), and Cobalt 21 (R30021) etc. Cobalt alloys are now part of a wide spectrum of industries. When compared to other alloys of its class, Cobalt has many unique features, making it the primary choice in manufacturing of basic industrial machinery to jet engine parts. The alloys which are basically derived from cobalt and chrome are highly valuable in medicine. These are known to be highly biocompatible and offer excellent resistance to all types of wear and tear. As these are highly corrosion resistant too, so cobalt alloys are now widely used in surgical implants and dentures. Cobalt 21 (R30021), is a major alloy of cobalt; which consists of chromium 28%, carbon 0.24%, nickel 3%, molybdenum 5.2%, and iron less than 5%. Cobalt 21 is largely used in surgical stents for cardiac and vein stenting etc. The joint arthroplasty implants also consist of Cobalt 21 as a major component. Its properties to get well align with the human system and capabilities to diminish chances of infection make Cobalt 21 a standard material in metal frameworks for partial dentures. Cobalt-chrome and cobalt steel alloys are also known to be extremely heat resistant. These have high melting points. Cobalt alloys are usually ground down with maximum precision than being cut to the specifications. 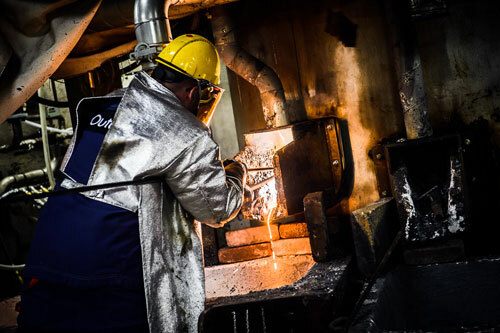 These unique properties of cobalt alloys make it ideal to manufacture different parts from strong gun barrels, lathes particles, to high-end machines which are supposed to withstand high temperatures. Cobalt alloys are also used effectively in different types of cutting instruments. Cobalt steel is now an excellent alternative for carbon steel and the high-speed steel. Cobalt steel is also used in high-end applications as drill bits, rotors, and in several musical instruments which need precision. Such parts require high-endurance steel, which can keep in proper shape and sharpness for longer periods. The cobalt steel alloys used in such applications reduce the need for replacing or re-sharpening them frequently. This in turn ensures long-term usage of instrument with minimal maintenance needs. Similar to carbon steel and ceramics, cobalt steel is also the most used metal now for the making of high-endurance grinding components. The cobalt alloy products can now be largely found in different types of bearings, ice crushing machines, farm equipment, lathes, and other pieces of industrial equipment. Cobalt alloys offer a cost-effective alternative in terms of industrial parts manufacturing and there are many providers offering custom designing of cobalt alloy parts. Such types of alloys are also highly flexible to be recycled, which make it environment friendly too. The cost-effective alternatives in terms of cobalt alloys include Stellite and Incoloy etc., which are made by using high-quality raw materials by following top-class industrial standards. There are also manufactures offering cobalt-based magnetic parts custom built for various industrial purposes. How To Solve The Problems Of Having One Too Many Tables and Sofas?